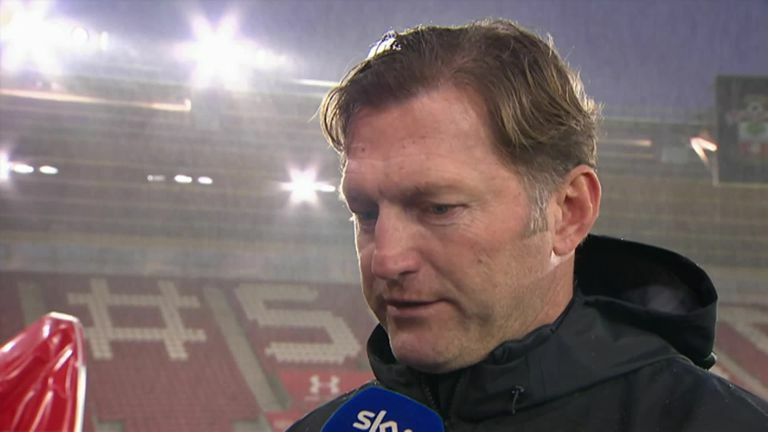 Unai Emery issued a top-four warning to his Arsenal players after they slipped to defeat at Southampton. Gunners manager Emery saw his side's 22-match unbeaten run in all competitions halted by a 3-2 reverse at struggling Southampton. Sunday's setback leaves the London club three points behind fourth-placed Chelsea in the race for European football. Spaniard Emery fears similar slip-ups will mean they fail to keep pace with their high-flying rivals. "Our demand is very big but also the level is very high level with the other teams," Emery said. "And if we won't win like today, we cannot be in the top four. "Other teams, usually they are winning but we need to do our way and continue to build. The objective is therefore top but we know it's not easy because the other teams are at a high level. "We need to be very, very demanding of ourselves, like we are. "After 22 matches we didn't lose and we are only fifth position in the table and the reason is because other teams are very well."